Does good sweet wine have to be expensive? Sweet wine can achieve very high prices, such as Trockenbeerenauslese by Egon Müller from the location Scharzhofberg, whose price may be up to the middle four-digit range. None of the wines, we bought at Lidl, really enthused us. Best we liked the Loupiac with its firm character and its light minerality, partly the Cadillac, which was complex but not very harmonical. Least of all we took pleasure in the Sainte-Croix du Mont, showing so many not very pleasant flavors. The Sauternes wine of the Château Grand Jauga ranks just ahead of it, but has not been very expressive. light straw yellow, slightly musty-dusty in the smell, in the taste cabbage notes, a little peppermint-like, medicinal, appears little sweet. Out of the two other Sauternes wines, we found the Carmes de Rieussec good to drink, but a bit too flat, though quite complex in the scent. 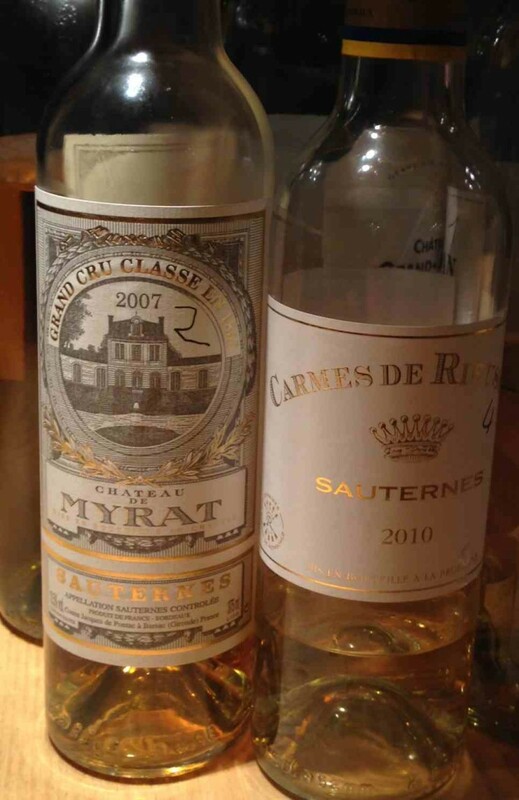 Ultimately convinced us only the Château de Myrat, especially since its sweetness is very harmoniously involved. Finally, with the exception of the Sainte-Croix du Mont, we have tasted all the wines for the following blue cheeses: Roquefort, Stilton, Bleu d’Auvergne and Gorgonzola dolce. 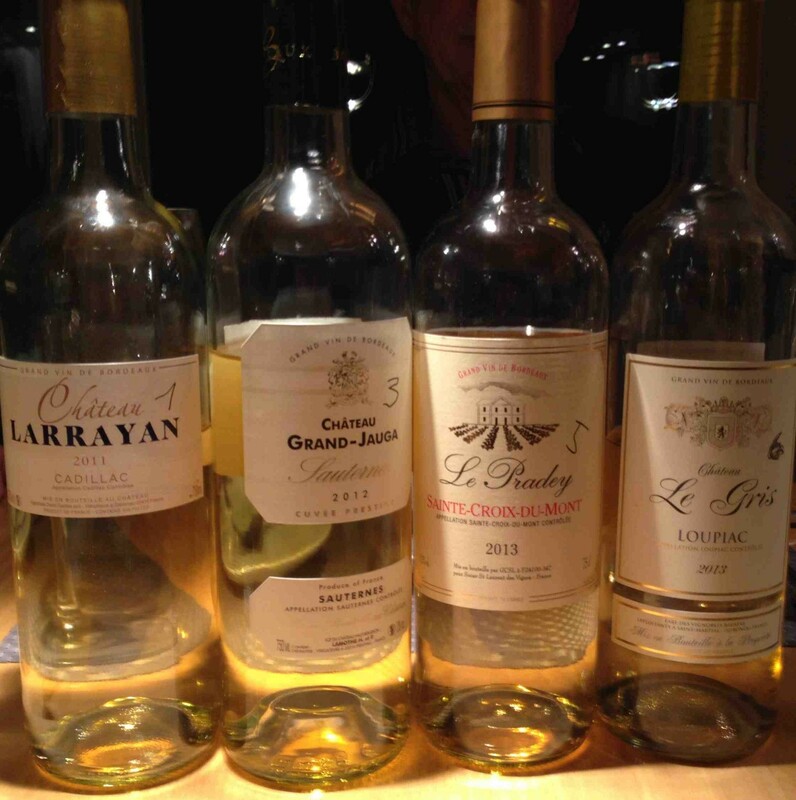 All three Sauternes fit well to very well to Roquefort, to Stilton the Loupiac harmonized best. For the Bleu d’Auvergne, the best was the Château Grand Jauga, to the Gorgonzola dolce only the Château de Myrat.